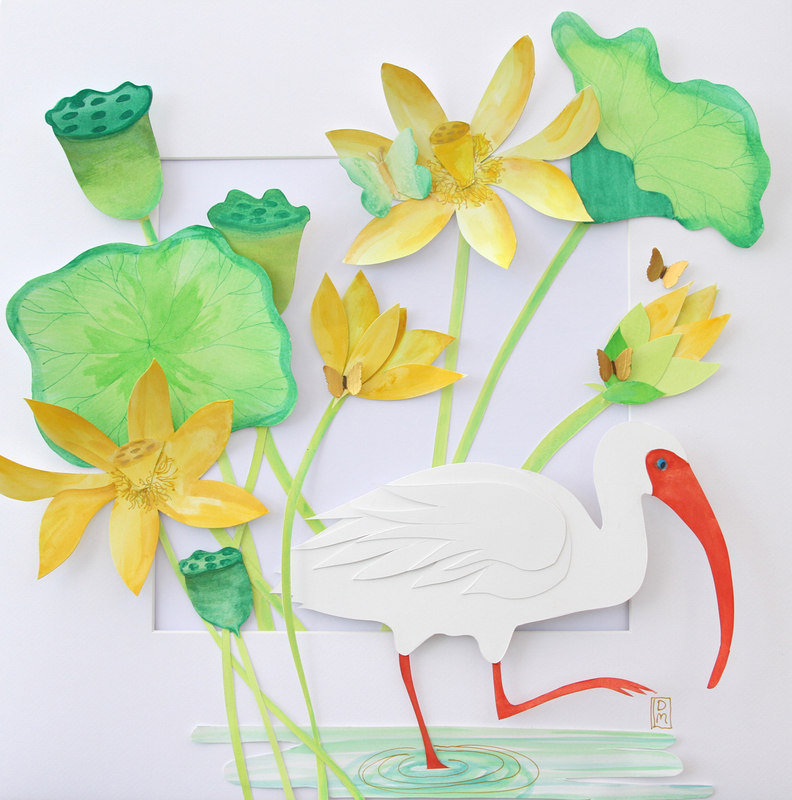 Mixed Media This colorful scene shows an ibis walking through waters where lotus are growing. Gold touches are added in the lotus centers and on the butterflies. The seed pods and blossoms are raised out from the flat background and the piece is framed in a 19"x19" shadowbox with a plexiglass cover.